Harvest Theme Serving Trays Set 2pc. Home > Home Decor and Accessories > Harvest Theme Serving Trays Set 2pc. 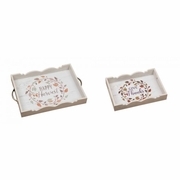 Entertain in style with this elegant set of two Thanksgiving serving trays. 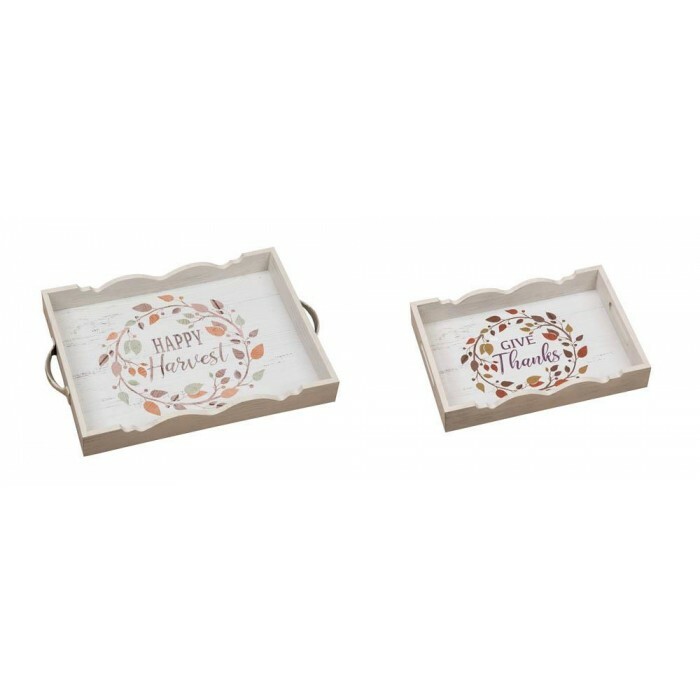 Each serving tray features a gorgeous Autumnal wreath design with the words "Happy Harvest" and "Give Thanks" in the center. The decorative trays are made from wood and finished with a rustic white stain for a stunning country chic look. Small: 13" x 9" x 2"
Large: 17.75" x 12" x 2"